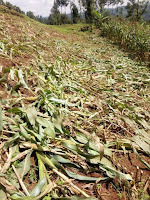 Home / Entertainment News / A road contractor in Kiambu destroyed this old woman’s maize farm, Her tears will haunt him (PHOTOs). 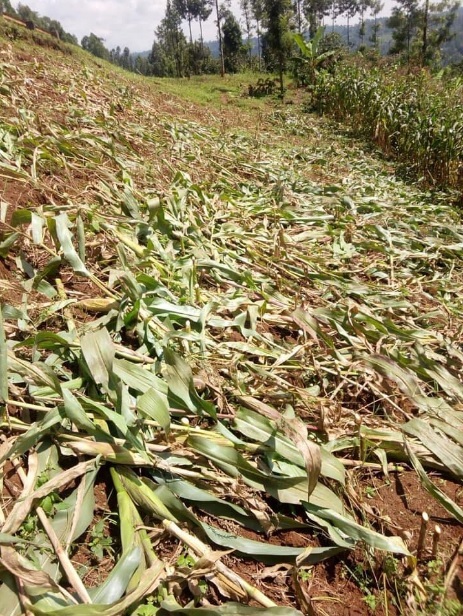 A road contractor in Kiambu destroyed this old woman’s maize farm, Her tears will haunt him (PHOTOs). Thursday, August 2, 2018 - A merciless road contractor in Kiambu County destroyed this old woman’s maize farm. From the photos, you can see the old woman seated next to the maize farm worried on what to do next. Some of these contractors have no heart.